Best horse escape videos- doors or electric fence. I’m up here in Maine visiting my family and I find it funny that my old horse Scrapper knows how to open latches. It’s pretty harmless in Scrappers situation because the door he opens leads to the pasture. Scrapper got me thinking about horses that escape and I remembered these videos…have you seen them? I’m not sure which horse wins the ‘best horse escape’ award….I’m leaning towards video #2 because of the ‘risk’ factor, but the horse from video #1 has mastered more…what do you think? What is the toughest latch your horse has opened? I am amazed! Animals are so much smarter than we realize…. I have seen cats problem solve very often. Mine have two methods of escape. The easiest method they use is to simply lay down and slither under the bottom wire of the fence. For gate latches, I use a chain bolted to the post. The chain is wrapped through the gat and then attached to itself with a carabineer. They’ve figured out how to open carabineers. 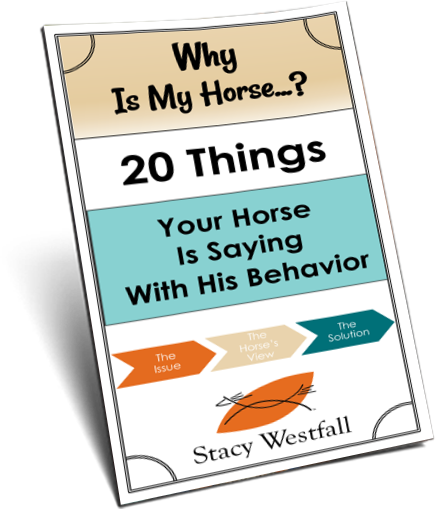 I have never left feed in the barn.Its left in the garage .Its more work for me but my biggest fear has always been my horses getting into and eating all the feed at once and ending up with a colicing horse. It’s bad enough that I have an older horse that gets down and crawls under our wide chain gate.He just lets himself out so he can go and graze.He knows when we put the electric tape across the gate as added protection.Then he knows he has to stay in.Lets not fool ourselves ,animals of all kinds can be very smart they just don’t show it.And then there are the ones that will do just about anything for food. My 18 yr old gelding tries getting into the barn all the time. 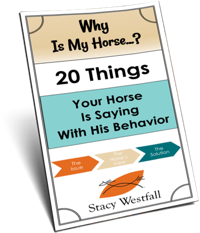 I have to make sure doors are locked from the inside or he will go and open stall doors and a heavy sliding that goes from his lean to into the barn. Never videotaped anything, but every gate at my place is double chained/locked, in other words Jed-proofed. Every gate is a bull gate because if a mare has to be hauled anywhere, he has jumped & wrecked regular gates. Jed is a 28 yr old mule and has all day and will take all day to figure out how to get out, and let everyone else out. Most horse proof closures would take him less than 5 minutes to figure out. I just think mules are pretty smart & they are half-horse! Now that I’ve downsized my herd, I picked a safe mare for me to ride that will also keep him happy. i wonder if all horses possess the intelligence to do these things, but only some are motivated enough, or, if only some horses possess that intelligence, irrespective of motivation?